How to Plan 12 Jyotirlinga Temple Tour from Anywhere in India? As per the Hindu Mythology, Jyotirlinga refers to “The Radiant Sign of The Almighty”. For pilgrims, it is important to know that, in total, there are 64 Jyotirlingas in the country but, only 12 are revered highly. 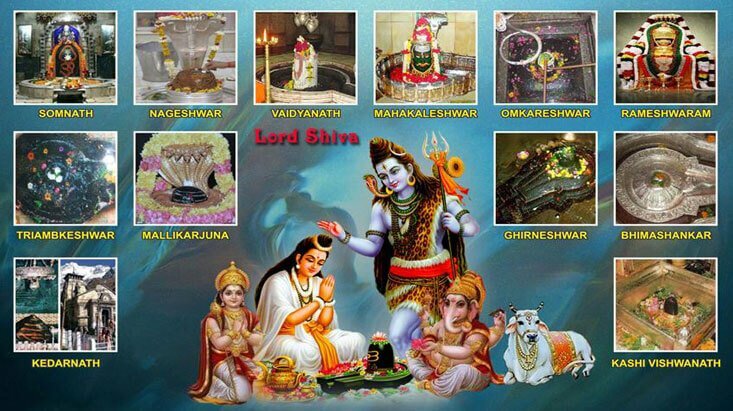 These Jyotirlingas as you know are the abodes of Lord Shiva and are considered as must visit pilgrimage sites in India. As a result of being amongst sacred destinations in India, these Jyotirlingas receive a heavy footfall of Hindu devotees who come to seek blessings of Lord Shiva. Besides, planning a tour to all these twelve sacred sites might sound a difficult task but, it isn’t if you simply follow our travel guide that has been laid down for you right here. Start scrolling down to find more! Note: Before making a Jyotirlinga tour, make sure you are ready, both mentally and physically, to travel for a whole month as it will take minimum 30 days to visit all twelve sites. For all those who reside in North India, they can begin their Jyotirlinga tour from Kedarnath in Uttarakhand. From Kedarnath, you can take this expedition to Kashi Vishwanath Temple in Varanasi, Uttar Pradesh. The distance between Gaurikund and Varanasi is 1216 km. Some 476 km from Varanasi, Baidyanath Temple in Deoghar, Jharkhand is the next stopover on this pilgrimage tour. Travelling a distance of around 920 km from Deoghar, you’ll reach Madhya Pradesh which is a home to two Jyotirlingas – Mahakaleshwar in Ujjain and Omkareshwar on Shivapuri Island. After visiting these two pilgrimages in Madhya Pradesh, proceed to your next destination – Maharashtra which would be some 697 km away. In Maharashtra, there exist three Jyotirlingas – Grishneshwar Temple at Ellora, Aurangabad; Trimbakeshwar in Nashik; and Bhimashankar in Pune. Till Maharashtra, your three-fourth of the Jyotirlinga Yatra will be completed. Around 815 km from Maharashtra is your next destination is Gujarat. 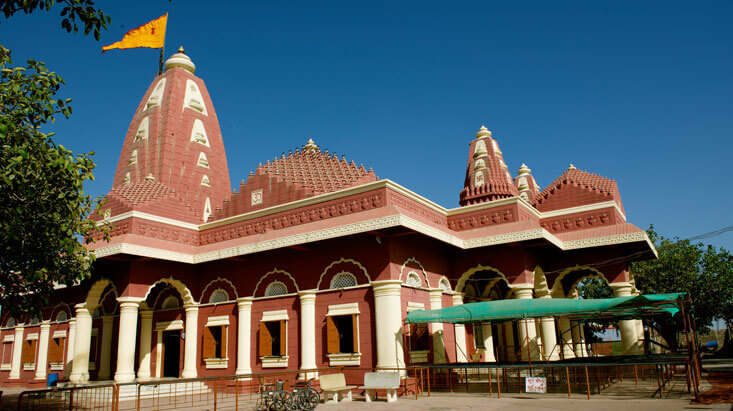 Saurashtra, the peninsula region of Gujarat houses one of the twelve Jyotirlingas – Somnath Temple. Somnath is one of the popular Hindu temples in India and as a reason of this, a large number of devotees flock every year to Saurashtra to offer their prayers at this revered holy site. The cultural land of Gujarat is also a proud home of another Jyotirlinga, esteemed as Nageshwar located in Dwarka which is your next stop after Somnath. Now, from West India, you’ll have to travel all the way to South India to cover the last two holy places. Your first destination in South India will be Srisailam where is located a famous Jyotirlinga, Mallikarjuna. After offering prayers at Mallikarjuna, your journey will finish at Rameswaram where the last Jyotirlinga, Ramanathaswamy Temple is located. For the people who want to start their tour from north, Delhi, Lucknow, Dehradun, Kanpur, and Allahabad are some of the cities in North India where you can get the direct trains to your first stop. 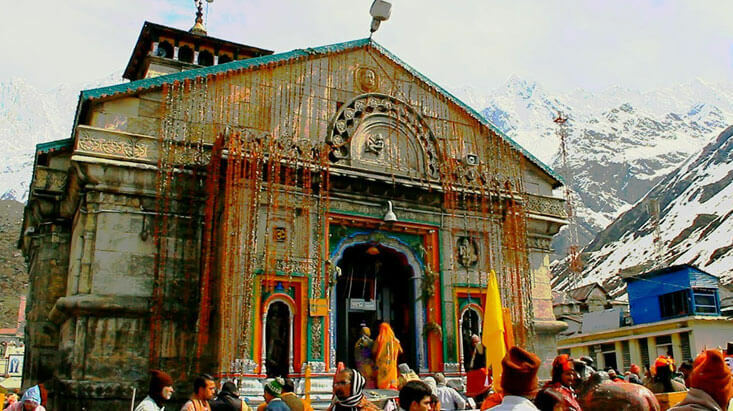 Note: Since the holy portals of Kedarnath opens for a limited time, i.e., either from late April or early May to the month of October, and hence, it is advisable for pilgrims from all the region to plan this tour accordingly. Moving on from the northern part of the country, let’s now discuss how to plan 12 Jyotirlinga tour from South India. Starting from the sacred site of Ramanathaswamy Temple in Rameswaram, your pilgrimage tour will ascend to Mallikarjuna in Srisailam. The distance between the two sacred sites is some 1019 km. Once done paying homage at Srisailam, head towards the western region where Maharashtra will be your first stop. In Maharashtra, there are three Jyotirlingas. Bhimashankar in Pune will be the first one to visit when you’re coming from the Southern region. Followed by this, Grishneshwar Temple in Aurangabad and Trimbakeshwar Temple in Nashik will be the remaining two Jyotirlingas in Maharashtra, which you’ll cover after Bhimashankar. Around 412 km away from Nasik, there lies the beautiful Island of Shivapuri in Madhya Pradesh that boasts the famous Omkareshwar Temple. Not just the Omkareshwar Temple, the heart of India, Madhya Pradesh is also a home to another Jyotirlinga – Mahakaleshwar located in the ancient city of Ujjain. Now, as you conclude pilgrimage at Mahakaleshwar, half of your expedition will be over. Up next in the trip is the state of Gujarat which is also a proud abode for two of twelve Jyotirlingas – Somnath in Saurashtra and Nageshwar in Dwarka. The distance between Madhya Pradesh and Gujarat is 951 km. From Gujarat, this sacred yatra will take you some 1456 km above in the northern region, where Kedarnath is located at an altitude of 3553 m in the state of Uttarakhand. Along with being one of twelve Jyotirlingas of India, Kedarnath is also a prominent part of the highly-sacred Char Dham of Himalayas. Kashi Vishwanath Temple (1022 km approx) in Varanasi, Uttar Pradesh and Baidyanath (468 km) in Deoghar Jharkhand will be the last two sacred sites of this holy tour. Those planning Jyotirlinga tour from south, Vijayawada, Chennai, Madurai, Coimbatore, Mysore, Thanjavur, Kanyakumari, Bengaluru, Thiruvananthapuram are some cities that are very-well connected with other parts of the region and states. Pilgrims from Western region can start their sacred yatra from Jyotirlinga, which is Nageshwar in Dwarka, Gujarat. Around 252 km south of Nageshwar, there lies another Jyotirlinga in the state, Somnath in Saurashtra. After the darshan at both the sacred sites, your next destination is Maharashtra’s where three Jyotirlingas are situated. The closest one from Somnath is Trimbakeshwar (887 km) in Nashik followed by Bhimashankar (233 km) in Pune and Grishneshwar in Aurangabad. Thereafter, travelling around 707 km from Maharashtra, you’ll reach your destination, i.e., Madhya Pradesh. In the state, there are two best holy places to visit that also comes in those twelve Jyotirlingas. The first is Omkareshwar Temple – comfortably seated on an island called Shivapuri. 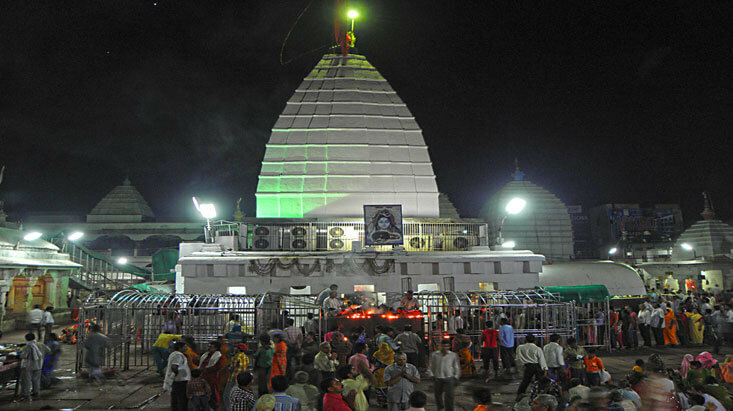 Whereas, the other one is located in the historic city of Ujjain and is esteemed as Mahakaleshwar. After Madhya Pradesh, Kedarnath in Uttarakhand is the next stopover in this Jyotirlinga darshan tour. In order to reach the temple, you have to cover an approx distance of 1290 km. Some hundred km east of Uttarakhand, there situated two more sacred sites – Kashi Vishwanath Temple in Varanasi, Uttar Pradesh and Baidyanath Temple in Jharkhand. After the Baidyanath darshan, you’ll almost come to an end of this spiritual journey. Now, for remaining two, you’ll be going to the southern region. In south India, the first sacred place in this journey is Mallikarjuna, which is located in Srisailam. 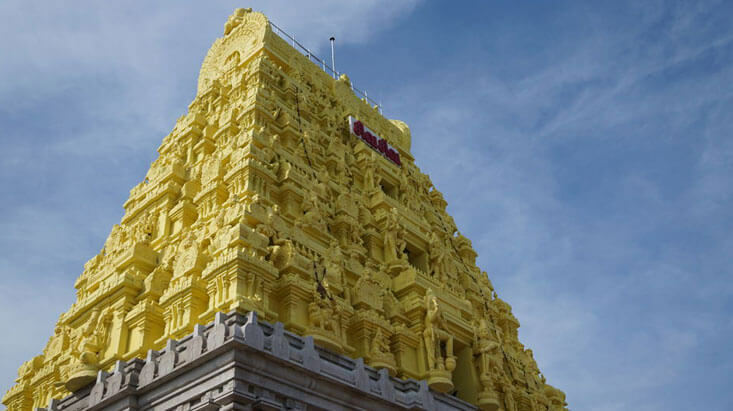 Following pilgrimage at Mallikarjuna, this sacred tour will sum up at the famous Ramanathaswamy Temple in Rameshwaram. Ahmedabad, Vadodara, Surat, Nagpur, Rajkot, Dwarka, Mumbai are some railway station from where you can start your pilgrimage journey in western region. For the pilgrims starting their tour from the eastern region, Jharkhand is the first stop-off. In Jharkhand, there is a famous place of worship called Baidyanath. Second in the list is Kashi Vishwanath Temple in Varanasi, Uttar Pradesh. Kashi Vishwanath is counted amongst the highly sacred Hindu religious places in India. Travelling a distance of around 1500 km, you’ll reach Uttarakhand where an esteemed Lord Shiva temple in the Himalayas, Kedarnath will await to astound you. From there, this Hindu pilgrimage will next cuts through two revered places of worship in Madhya Pradesh – Mahakaleshwar in Ujjain and Omkareshwar on Shivpuri Island. One has to cover an approx distance of 616 km from Varanasi in order to enter Madhya Pradesh. After Omkareshwar, the next three nearest Jyotirlingas are located in Maharashtra. Grishneshwar in Aurangabad, Bhimashankar in Pune, and Trimbakeshwar in Nashik are the three hallowed sites in the sequence that you need to cover. After Madhya Pradesh and Maharashtra, Gujarat is the next western state where two jyotirlingas are situated. Nageshwar in Dwarka and Somnath in Saurashtra are those of Lord Shiva’s sacred site in Gujarat. Since Somnath is the closest Jyotirlinga from Trimbakeshwar, and thus, it should be first visited. Thereafter, take your journey to Nageshwar which is around 668 km from Somnath. By travelling all the from West India to South India, you’ll reach to your last two sites of this Jyotirlinga expedition. The first one in the south is Mallikarjuna in Srisailam which is around 1798 km from Gujarat’s Somnath. Rameshwaram is the last stop of this sacred Yatra where the world-famous Ramanathaswamy, one of the ancient temples in India and a prominent part of twelve Jyotirlingas, is situated. The distance between Srisailam and Rameshwaram is 1,018 km. Cuttack, Ranchi, Patna, Bhubaneswar, and Kolkata are the major cities from where one can get regular trains to almost all the regions. In this way, you can plan your Jyotirlinga tour from anywhere in India. You can leave the burden of planning 12 Jyotirlinga temples tour on Tour My India as we’re specialized in it. With us, you not only get meticulously designed tour package but great services, remarkable facilities, soothing transportation, comfortable stay, and palatable food as well. You can call us at +91-8744012051 to plan the best Jyotirlinga Temples Tour for your from any part of the country as we offer some of the finest religious tour packages that are designed to cater to all your needs.